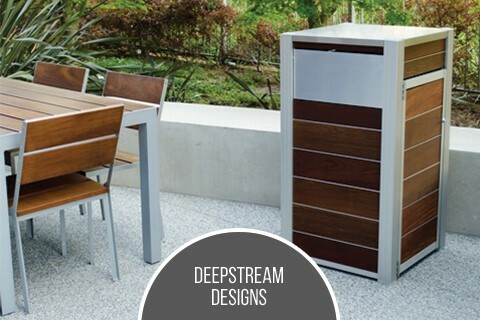 Oahu 33 Gallon Trash Bin in solid Ipe wood with Zephyr aluminum banding, with Lifetime Structural Warranty. Bins available in Single to Quad-streams and a wide variety of finish options. Coordinating planters and custom fixtures.